Last edited by irok; 04-16-2019 at 09:41 AM. I just put some 305-35-19 Nitto drag radials on. No issues. Some years back after my SC install I needed more traction for the street. 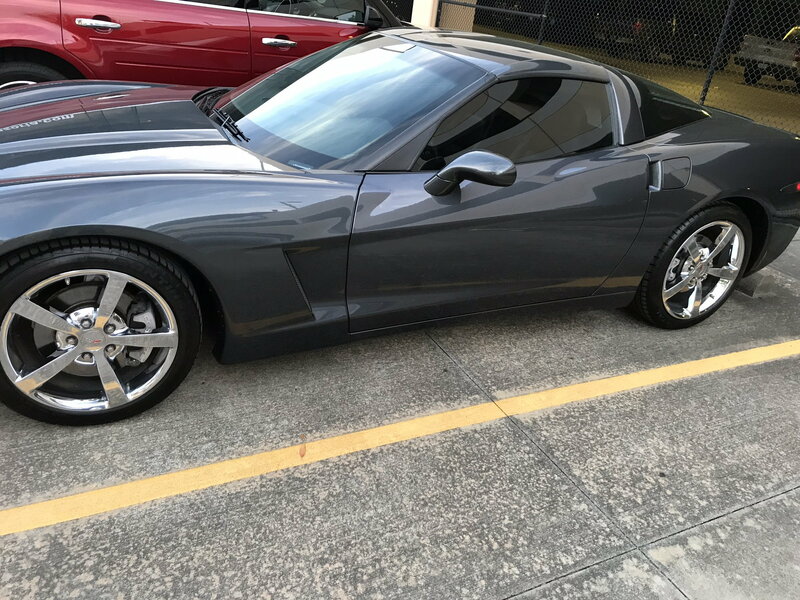 I bought wider CCW wheels with the correct offset to mount Z06 tires, 325 R,275 F Works well and looks much better then the stock tires, wheels. mounted with Bridgestone Pole Position run flats. Last edited by NYC6; Yesterday at 09:18 PM. We still don't know if you are driving a base, or a gs/z06/zr1 widebody. 18 inch? 19? 20? Pretty much every suggestion that you have received to this point has been useless because we don't know what you're driving. irok pointed this out to you, but you didn't get it. Almost any tire in the stock size will be OK for long trips. Keep in mind that if you have a tire failure, not just a flat, that not everyplace will have an exact replacement in stock. The large stock sizes are already in limited supply in Podunk Junction and the larger non-stock sizes could leave you stuck for a day or more, while a tire gets shipped in from hundreds of miles away. Upgrade does not mean larger size, especially when talking tires. You also need to make the front to rear size ratio fit, so you don't have issues with the computer nannies. While larger diameter may help with fuel economy on the highway, it won't do anything else unless appearance is a priority over performance. The same holds true for wider tires. Wide is great for lateral adhesion, narrow is better for straight line traction. Softer tires provide good traction, but wear quickly. Harder compounds last a long time, but you sacrifice good adhesion. Choose which is more important or stick with the stock size that is the all-around compromise.